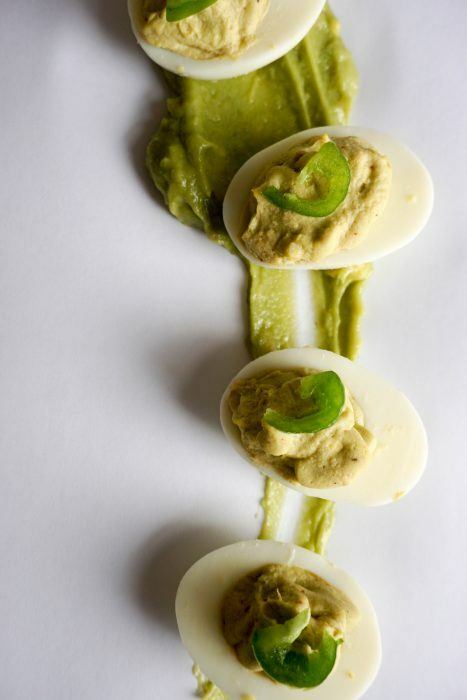 The third and final recipe of our deviled egg series is our Avocado Deviled Eggs! This recipe is almost stand alone because of it unique difference which I will go into below. A keto friendly home generally has the following three ingredients: eggs, avocado and sour cream. And, if your home is one of those homes, you can head over to the kitchen and start prepping for this deviled eggs recipe right now! This recipe is very unique from the other two because it doesn't use the classic ingredient of mayo. Instead, it utilizes sour cream to create the creamy, fatty texture of the typical deviled egg filling. Omitting the mayo isn't a big issue with this recipe because it is still high in fat and extremely keto friendly! We always have sour cream and avocados in the house for good reason. 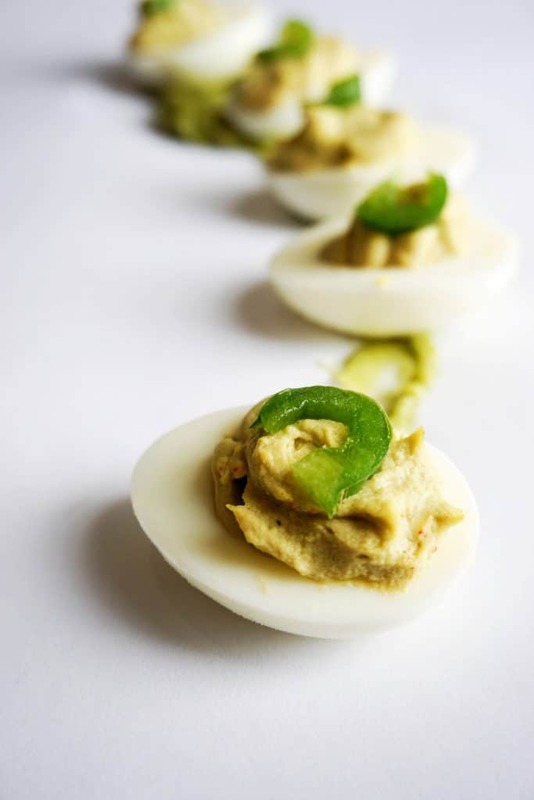 What we love so much about deviled eggs in general is how great of a low carb appetizer they are. They are perfect for any event, formal or casual, and are really quick to put together. You can even change them up drastically by adding a spice or sauce such as seen in our Curry Deviled Eggs and Sriracha Deviled Eggs! This biggest tip to making these is to have fun with them. You honestly can't go wrong by adding extra ingredients! An easy life hack we to pipe all three of our deviled egg recipes can be found here. But, basically, all you really do is scoop the filling into a ziplock bag, push it down to one of the corners, cut the tip of the bag and pipe it out into the white in whatever design you want. This give it a more clean look if you don't have the actual piping bags and tips! 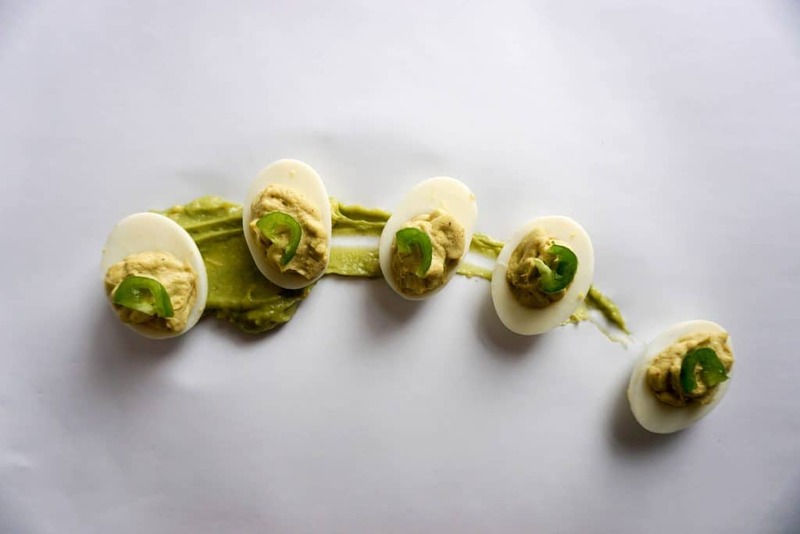 You get a lot of fat and flavor in each bite with these avocado deviled eggs, so make sure you give them a try! 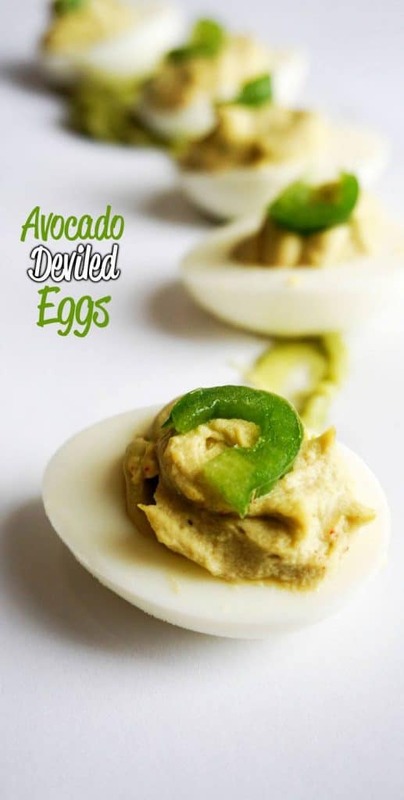 Recipe can be quickly added to MyFitnessPal - Search "KetoConnect - Avocado Deviled Eggs"
Cut 4 hard boiled eggs in half, creating 8 halves. Scoop the yolks out of the whites into a bowl and set whites aside. Mash up the avocado and add it to the yolks along with the sour cream, lime juice, cayenne, pepper and salt. Combine. Scoop yolk mixture evenly into the center of the whites. Garnish with jalapeno slice. Store in fridge and enjoy!